While back to school is an exciting time for most students, it can be a very stressful time for others. Be wary of the schoolyard bully as your child goes back to class this year! Unfortunately, bullying is a hot social issue today and may not only be physical. Harrassment can take place in cyberspace as well via social media sites. Learn about the warning signs and how to help your child here: https://www.stopbullying.gov/. Together we can educate both students and parents about this important issue and how to prevent it. 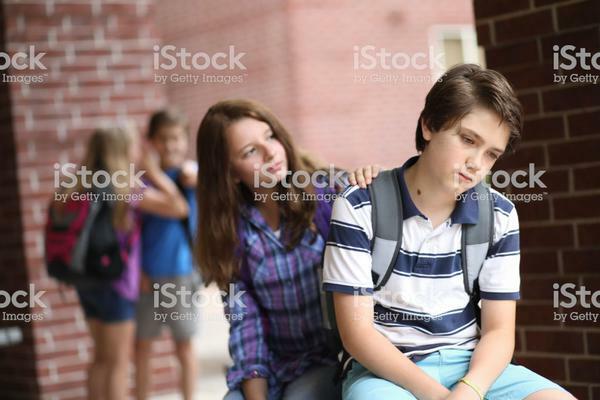 To display more of our "Bullying" images, click the link below. To view or download the image above, just give it a click.